Well we have entered another new year and in our local community there seems to be the usual buzz of activity as people prepare, plan and set new goals. In Cheadle Hulme, Bramhall and our surrounding area we seem inundated with adverts for adult fitness and health. 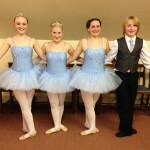 Each January our dance school receives many enquiries from adults and it is always great to see this fresh enthusiasm. Of course the challenge is often in finding the most suitable and sustainable activity for you, so here are my thoughts…. We have eight adult classes and four elite classes which are all successful because they are fun and friendly. We want our adults to feel welcomed, respected and a valued part of our social group. Without this I doubt we would see many people passed the initial New Year good intentions. Furthermore, the content of our classes really do have something for everyone. 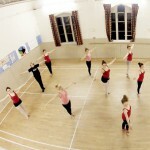 Our adult contemporary class (Mondays 7-7.45pm) is our newest and least well known. 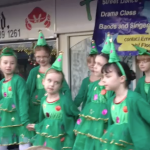 Contemporary dance seems to have a very low profile in our local area and to the best of my knowledge our dance school provides the only contemporary classes nearby. I am not sure why, as it is a fabulous way to connect body and mind whilst exercising. This technique based class is suitable for all abilities and has many benefits, including improving core stability and strength. The creative and expressive aspect also provides an enjoyable and interesting twist. Our adult modern class (Fridays 7.30-8.15pm) is also mixed ability and has a theatrical feel. Great for flexibility and agility, this is an energetic class with kicks, leaps and turns. We explore a range of performance styles, so can step straight from a musical into a 1930s dance hall. Our two ballet classes (Thursdays 7.30-8.15pm and Fridays 6-6.45pm) are mixed ability and the most relaxing way to work hard! There is something very cathartic about toning your body and improving you posture, all to a background of the most inspiring music. Our ever popular adult tap classes (Thursdays 8.15-9pm and Fridays 6.45-7.30pm and 7.30-8.15pm) seem to provide a winning combination for a sustainable adult activity. The combination of learning a skill whilst exercising and using your feet as musical instruments, seems to get our adult dancers completely hooked. We have so many adult tappers that we can offer four levels; beginners, improvers, intermediates and advanced. Experienced adult dancers can be challenged in our four elite classes (tap, modern, ballet and pointe) who progress through syllabus and advanced show work. This can be hugely satisfying for those who worked hard as children to move through dance grades, only to stop when adult life took over. Returning to dance and continuing where we left off, can remind us that our achievements were not in vain and that we still have those skills. Finally, I received the new “AdultFit NATD” syllabus for ballet and tap this morning. This allows adults of all abilities to take part in syllabus work and optional exams. Our adult leisure classes have chosen not to take part in exams in the past, I think mainly due to the widespread fear of being scrutinised in an exam setting! However, it did get me thinking, as I receive such lovely feedback about how our annual children’s dance exams are fulfilling and rewarding and how they are a great motivator to attend regularly. Unlike our children’s exams, there is not a “standard not yet attained” category in “AdultFit NATD”. This means all adults are rewarded for taking part in these exams, and that our adult dancers are more likely to choose to try these in the future. Whatever you choose to do in 2016 I wish you all a happy and healthy year, full of fun and laughter.